The bad press for Fantastic Four rolls in as many more stories about the film’s troubled production come to light. 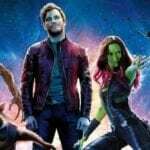 Not only have we found out that Josh Trank was nearly fired just before filming was about to begin, but there was the reveal that the final act of the movie was re-shot by various writers and directors including Matthew Vaughn, Simon Kinberg and Drew Goddard. And not it seems as though a lot of Jeremy Slater’s script (who was given final screen credit with Trank and Kinberg) left in the movie. I grew up with these characters. Got in fights over these characters. Burned through my allowance buying every single issue that came out. It’s up to you to decide whether or not we succeeded. But I hope you give the film a chance. And I hope you like what you see. I call BS. All these people are now trying to distance themselves from any responsibility for this pile of garbage.